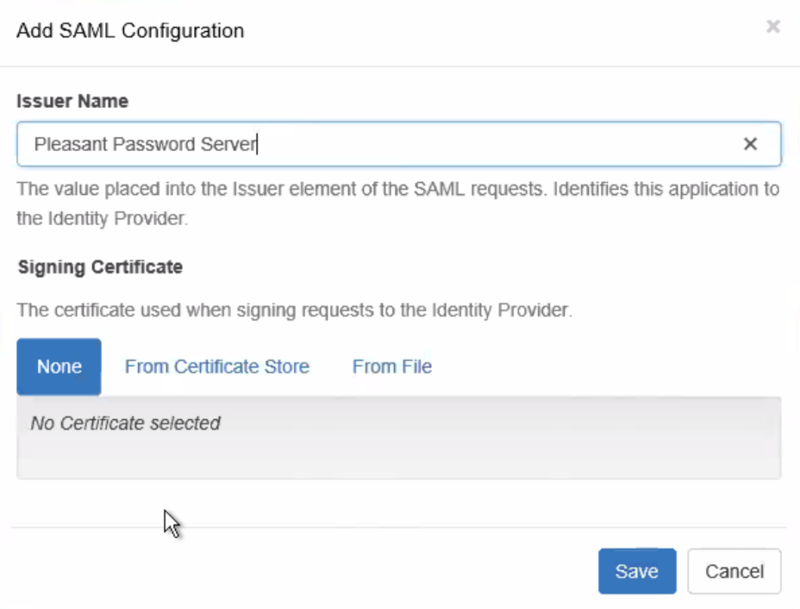 The following steps can be used to setup an configure SAML SSO, with AD FS. 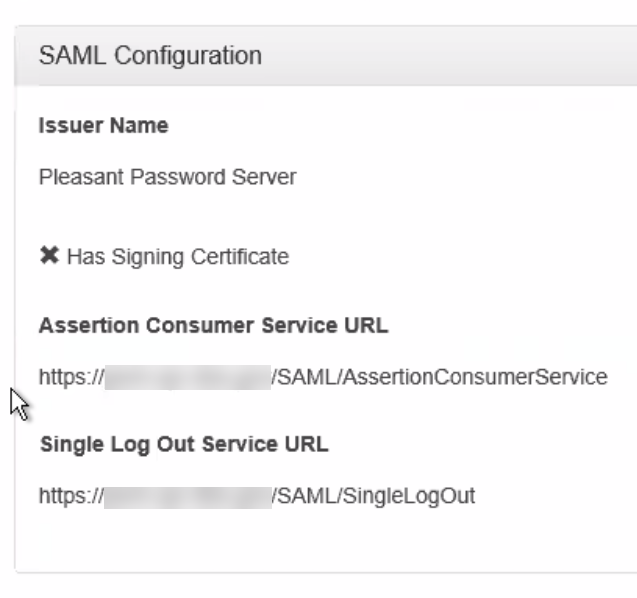 Other providers can be used with SAML SSO as well, see the related links below. 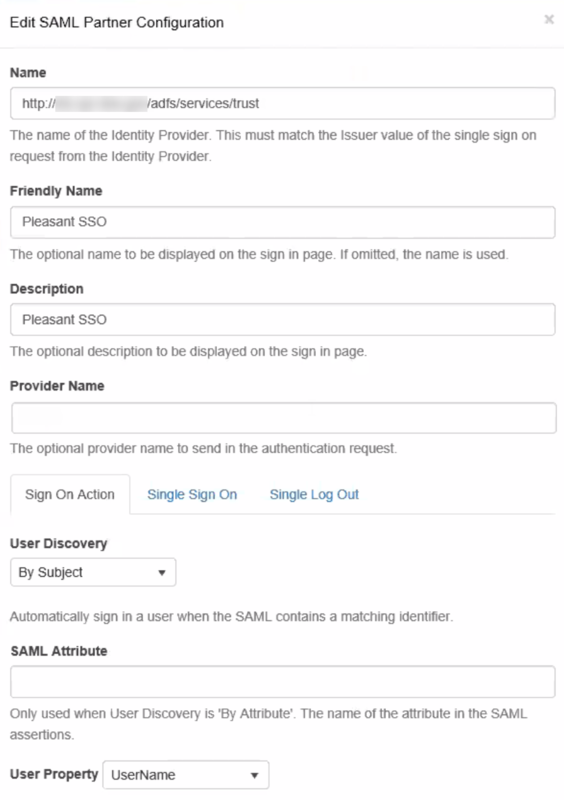 In Configure Multi-factor Authentication Now? This is just a name value which will be compared, not actually a URL used for communication. 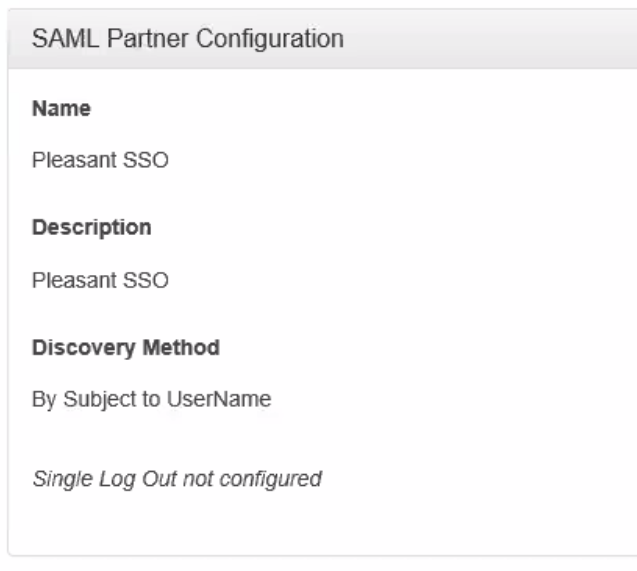 If the values do not match, the server logs will show a Key not found error.